If You Can’t Find It, Build It! 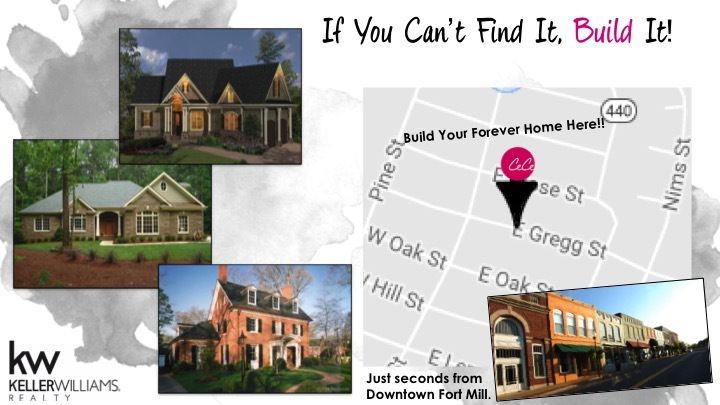 Haven’t found THE perfect house for you? Build it! On a quiet, quaint street just minutes from Downtown Fort Mill, this exquisite creek-side lot is ready for you to construct your dream home in desirable Whiteville Park. This lot presents a great opportunity to build a custom basement, ranch or even traditional style home. The possibilities are endless, helping to make this lot completely customizable to what you may need or want in a home. The building setback is a bit narrow, but a Baxter-style home, being narrow in width and deep in length, with perhaps a garage tucked in behind the home is the most conducive scenario. The creek affecting this lot runs through much of Whiteville Park. Many of the homes are built on very similar lots with great results. Come See About Whiteville Park!